How his two strengths – (a) Having an eye for talent (b) Being vulnerable and letting people help you – helped him grow his company. How using contractors helped him bootstrap his growth. How his refreshing humility helped him grow Foundr Magazine. The challenges of being “firm” and holding others accountable when they may not meet expectations. How to balance giving team members room to grow and avoid mistakes from negatively impacting the business. How his experience with interns taught him how to let go, learn to work with others, and leverage his time and impact. Why hiring is so challenging and some tips to make it easier. Powerful Promise of Value: Foundr Magazine – a magazine for young entrepreneurs. 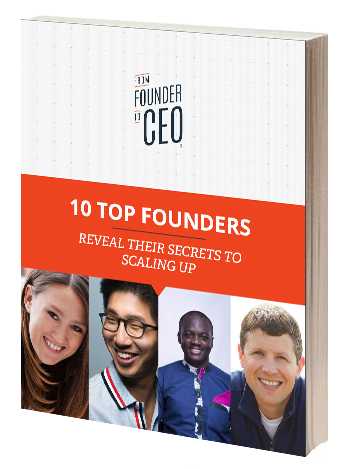 It’s the perfect resource for the young Founding CEO to learn how to grow and build a successful business through Foundr Magazine, podcast, and an array of great products and helpful training courses.